Winter’s first snowfall: southern Utah. This week I got snowed on for the first time this season, on the Colorado Plateau in southern Utah. It’s been cold too, well below freezing some mornings. So I think it’s time to talk about winter photography. First of all, I’m assuming you want to keep shooting in wintertime. There really is no reason to stop. There is a beautiful crystalline light that is unique to winter. And this is the time to go for fog and other moody atmospheres. Most important, how else are you gonna get a shot for that Christmas card? Fairy Falls in winter, Columbia River Gorge, Oregon. Be Gentle: Cameras and even many lenses are mostly plastic these days, and plastic gets brittle and will break much more easily in frigid weather. The metal parts also get more brittle. So avoid knocks and be especially careful with both camera and lens. Glass doesn’t care how cold it gets, but you’re already being careful with that spendy glass, aren’t you. The old one-room schoolhouse in Capitol Reef National Park, Utah. Beware Condensation: When you bring a camera that has been in the cold inside, or anywhere warmer, there’s a risk of moisture collecting inside the camera and lens. Obviously this is not good. So before coming in from the cold, put your equipment inside your zipped-up camera bag at least. A large ziplock or otherwise sealable plastic bag is even better. Let your gear warm gradually inside that bag before taking it out. The colder it is outside, and the more humid the warm place you’re bringing it back into, the more important it is to follow this advice. It’s also a good idea to let it cool off gradually, inside your camera bag, before shooting. Battery Blues: Batteries have shorter lives when they’re cold, and the colder the shorter. So bring extra batteries and keep the spares in an inside pocket, near your skin. If you know you’ll be shooting again next day, keeping the camera and lenses inside your trunk, where they remain cold, will avoid the whole condensation thing. But remember to take the battery out and bring it inside to recharge. If you take your memory card out to upload photos, stick it in a little ziplock before coming inside and let it warm up gradually. Late afternoon light hits Silver Star Mountain, Washington, after a mid-winter snowstorm. Organ Pipe Cactus National Monument is a beautiful stretch of desert along the border with Mexico in southern Arizona. I had not been here before a couple weeks ago. There are cactus flats and naked-rock desert mountains (The Ajos), with canyons marking the transition between the two. Best of all, it is relatively unvisited. There are a few reasons for Organ Pipe being mostly empty of people. One is the distance from population centers. Another is name recognition (after all, Yellowstone is far from population centers too). A third reason is climate. Summertime gets very hot here, hotter than most people like. Nearly all of its visitors come during the “snowbird” season – that time in winter when caravans of retirees from the north show up in RVs to swell Arizona’s population. Organ Pipe’s namesake cactus fruit in late summer. But the most interesting reason for Organ Pipe being empty is its reputation for being hazardous. It’s not the animals that are particularly dangerous, though there are rattlesnakes. And it’s not the terrain, though hiking off-trail is a good way to get stuck by cactus (ouch!). Much of the terrain is flat. Actually the reason the area is considered dangerous is the proximity to the Mexican border. Organ Pipe for years was a favorite place for drug smugglers and illegal immigrants to cross the border into the U.S. Thanks to the guy with the hairpiece (who shall remain nameless), as well as the crisis in Europe, immigration is the topic du jour right now. In the case of Organ Pipe, the flow has definitely slowed. Border patrol is a constant presence, operating out of their huge base just to the north. I camped in some lonely spots, but they always drove right on by in their SUVs, probing the dark desert with spotlights, looking for dark-skinned travelers. Cholla bloom, Organ Pipe Cactus National Monument, AZ. Organ Pipe is a classic case of a great destination being a prisoner of its past reputation. To be sure, illegal crossings still take place here. But their over-riding goal is to avoid people. The place just does not seem very dangerous to me. I never saw any immigrants or smugglers, even though I strayed off-trail numerous times. In fact, I saw only a few other people period. I did see signs of past crossings, some of them weathered and old. I saw old backpacks, the small cheap kind you find being sold in markets throughout Central America. I found tattered blankets and sweatshirts beneath bushes, and single sneakers. I found plenty of black water bottles. These are for some reason the favorite way for immigrants to carry water. I even found a blood-stained rock. Perhaps some were reduced to going barefoot by this point. Not a pretty sight in this cactus-filled desert. By the way I could not bring myself to photograph the more disturbing of these remnants. Another empty black water bottle: AZ-Mex border area. For the shot of the Ajo Mtns. below I wanted to show some of the rugged country these people have to traverse, guided by the infamous “coyotes”. These nefarious guides often leave immigrants stranded without much (if any) water as soon as they are across the border. If you’re an immigrant you follow the Ajo Mountains not only because they run north, but because springs, though sparse, are scattered all along their base. But you have to know where they are, so being abandoned here puts you in a very bad spot. Thankfully some kind souls have set up water stations, marked with blue flags (below). A water cache near the Mexican border, southern Arizona. Looking south into Mexico from a perch in Arizona’s Ajo Mountains. As I walked the desert here, I followed washes and used the terrain to screen myself from view, getting a feel for what an immigrant faces. But not really. I had plenty of water, was well-rested and had good hiking shoes and clothes. I also tried walking on a moonless night, when the immigrants must do most of their traveling, but I kept running into cholla (ouch again!). Evening falls along the U.S. – Mexican border in southern Arizona. Time to travel! This sad situation aside, Organ Pipe really is a beautiful desert. So many times I looked out and thought of a garden not a desert. The variety of cactus and other plants is simply amazing. Although late summer is hot, it also is the time of the monsoon, when common thunderstorms provide rain for blooming cactus. All this desert beauty is set off against the spectacular backdrop of the rugged Ajo Mountains. If you ever find yourself in southern Arizona, definitely consider a visit to Organ Pipe Cactus National Monument. Sunset over mountains along the U.S. – Mexican border, southern Arizona. Consider this a love letter to you who are struggling today; those whose Mother’s Day experience might be rather bittersweet— or perhaps only bitter. Morning sun and a rare full water-pocket in Utah’s Snow Canyon State Park. On your way to great images, you’ll need to overcome a lot of obstacles. You can instead think of it as doing the right things. But what is right and what is wrong can be a subjective thing in photography. So at the risk of appearing negative, I like to think of it as avoiding those things that keep you from capturing pictures you can be proud of. Last Friday was all about finding the right subject, one you find interesting. But you can’t discuss subjects in photography without mentioning backgrounds. So that is what this week’s topic is. If your background is in decent focus it needs to be interesting as well. It needs to support not clash with or overwhelm your subject. As long as you’re using a small aperture with good depth of field, thus emphasizing the background as much as the foreground and subject, try always to think about how the two complement each other. If they clash make sure they contrast with each other, make sure they do it in the right way. For example, a soft and beautiful model against a gritty industrial background, while a bit cliche, is the right kind of contrast. It adds interest. Conversely, there’s not much point in shooting an interesting subject/foreground with a boring, in-focus background (or vice versa). In that case you’d want to use a large aperture and put the background out of focus. And there are cases where you may want something in between. In the image below, the jars of miel (honey) are dominant, but the honey-sellers playing cards are in partial focus in order to give them an important but still subordinate role. 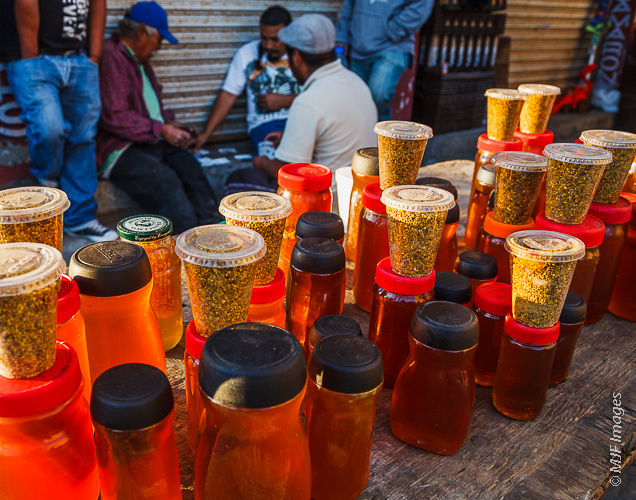 Raw miel (honey) for sale on a Mexican street. As another example, let’s take night photography, starscapes in particular. Many people (including me) have photographed the Milky Way as background for many different subjects. I’ve gotten away from that in favor of more subtle star fields, where foreground subjects have most of the attention. Super high ISOs are used to make the Milky Way appear very bright & detailed. For me that’s usually too much brightness & detail to work as a proper background. Of course that doesn’t stop hoards of photographers from going out and replicating images they’ve seen. I still shoot the galaxy occasionally. But I usually strive to make it appear much as it does to the naked eye, in order to work as a good supporting background. 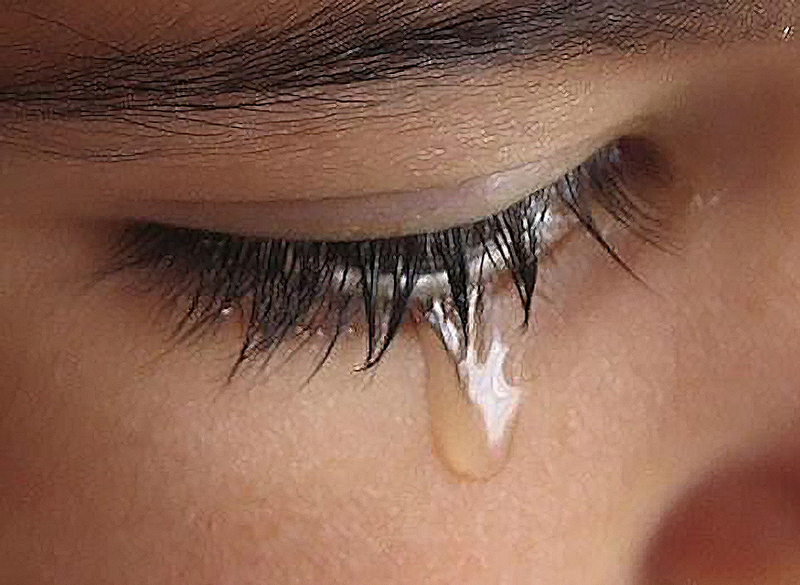 I so rarely re-blog, but this is one that struck home. Thanks Jakz! While taking a walk through the neighborhood, stepping along the sidewalks strewn with fallen, crunchy leaves, I found my mind repeatedly drawn back to a somewhat absurd thought. I think I wouldn’t mind being a leaf. In their earliest of days, leaves break forth from their buds touting vibrant colors. They bring with them fresh life and the hope of spring, despite arriving in the slowly receding gray days of winter. They instantly greet life fully, welcoming the warmth of the sun as they reach for the skies above. They dance in the wind and let the rain splash across their surfaces. They embrace their life and where they were placed in this world. 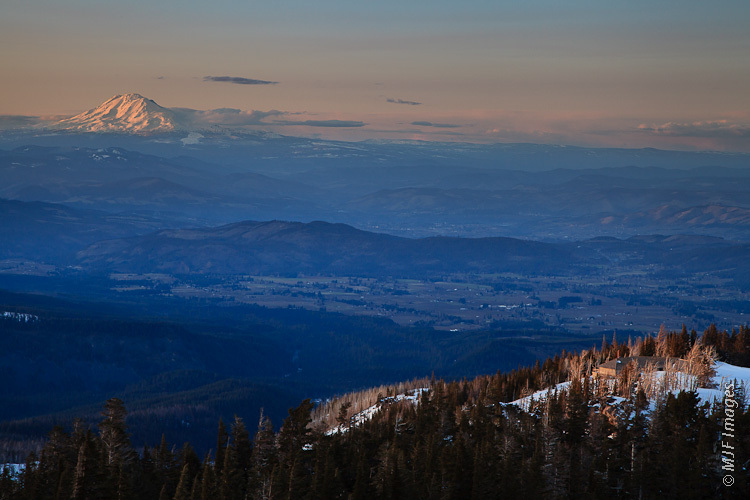 Cloud Cap perches over the north side of Mount Hood, with the Hood River Valley & Mt Adams in the background. It is finally time for the high country. A quick camping trip up to Cloud Cap on the north side of Mt Hood (Oregon) gave us access to the most spectacular alpine terrain within a day-trip’s distance of Portland, where I live. We had a late spring and cool early summer here in the Pacific Northwest. I even got stuck without chains on Mt Hood in a snowstorm – in June! As the temperature in the lowlands climbed to 100 on this first hot weekend of the summer, three of us drove up through Hood River and to the campsite near Cloud Cap. Cloud Cap is the site of a historic & extremely well-built climbing lodge (image above). The temperatures would not exceed the mid-80s up here, and it felt cooler because of a breeze coming off the glacier. 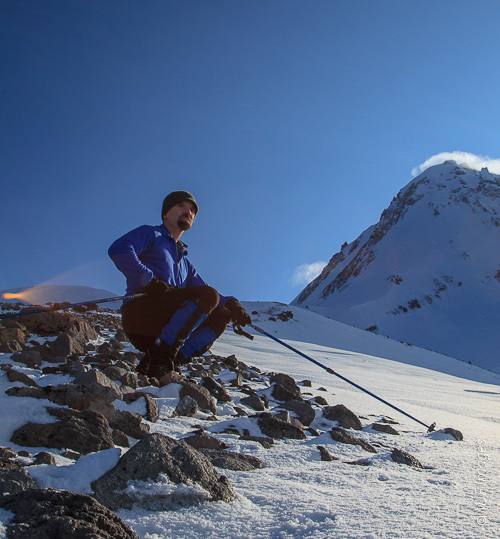 A ski trip up Cooper Spur on the north side of Mt Hood. Note the flare at left. The last time I was up here it was the middle of winter, with temps. in the low 20s on a gorgeous bluebird day (image above). In fact, I have most often been to this area for backcountry skiing, not hiking. One can drive all the way to Cloud Cap in summer, on a 9-mile long gravel road. But in winter you don snowshoes or strap skins on your skis to climb the steep direct Tilly Jane Trail. There is a nice cabin – Tilly Jane Guard Station – plus a shelter at the top of that trail, for those who have made arrangements to spend the night. Andee walks the only flat part of Cooper Spur on the north side of Mt Hood. 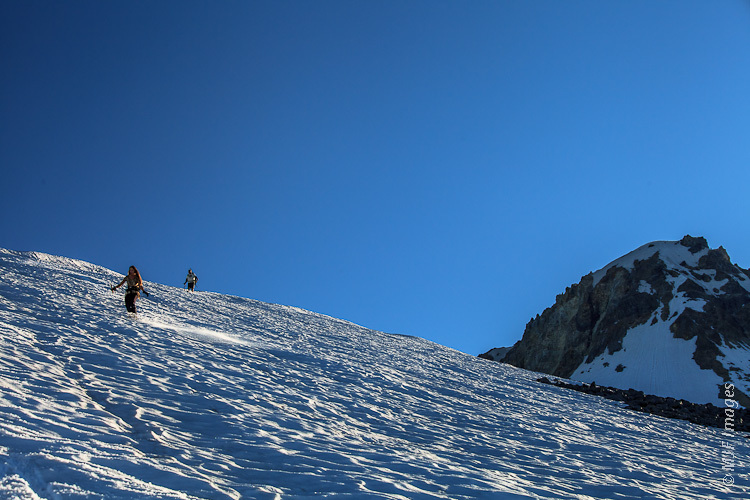 Our plan was to hike up to Cooper Spur, a prominent ridge that extends northeastward from the north headwall of Mt Hood. We wanted to get to 9000 feet at least, on the 11,235-foot mountain. We climbed and my recent knee issue did not show up. So I was in the lead as we topped out on the Spur. With the clear skies we had, the Cascade volcanoes of Mt Rainier, St Helens & Adams in Washington were in-your-face visible, and Mt Jefferson, the Three Sisters & Broken Top in Oregon also stood clear. Some low-lying smoke was visible from this lofty perch. This subtle layer of smoke hanging around has been transported all the way from huge fires in the Siberian Taiga. The view down on to the heavily-crevassed Eliot Glacier (Mt Hood’s largest) was fantastic as well. The idea behind a foot glissade is to “ski” on your boots; turning is difficult at best. 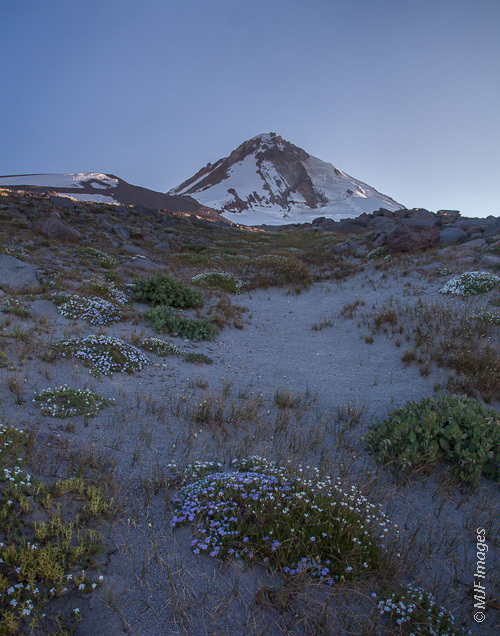 Mount Hood rises above the sandy but flowery approach to Cooper Spur (on the left). We really wanted to get a closer look at this climbing route, one of Hood’s toughest. So we climbed up to about 9250 feet, where the climb markedly steepens & becomes technical. We had only ice axes, no crampons, so it was unwise to go further. But the mountain was certainly urging both Andee & I onward. Climbing conditions were excellent, and we were reluctant to turn around. This route now is firmly planted in my mind, and will bother me until I do it. We glissaded back down. First we tried a standing glissade, but the snow conditions & steepeness demanded a sitting glissade, using the ice axe as a brake. Lower down, the snow fields offered fantastic foot glissading, which let’s face it, is usually more fun. 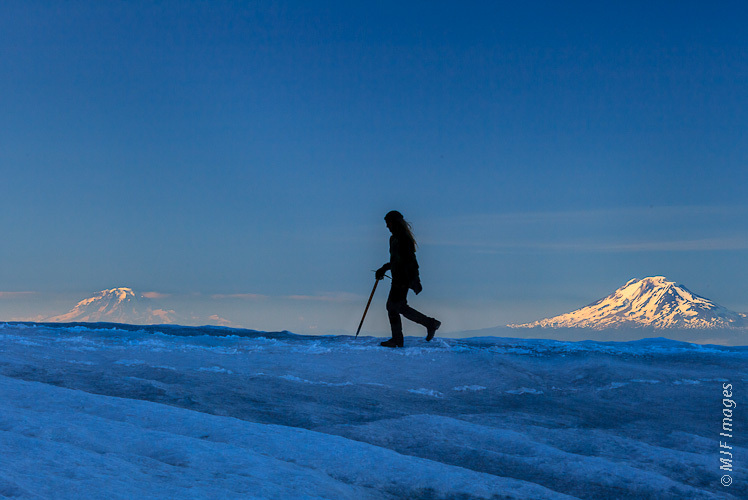 I was able at one point to get a few shots of Andee in silhouette with Adams & Rainier (which is also calling me now) in the background (image above). We passed the flower display that on this rocky and sandy side of Hood is fairly subtle, then back to camp just in time for sunset. It had been too long since I camped, & it felt great to gather around a crackling fire. The evening was cool enough to appreciate a fire. Next day we traveled west along the Timberline Trail. A major flood in 2006 wiped out the crossing of Eliot Creek, and many people are turned around by this barrier even today. But it is not difficult to cross here, if you are sure to watch for loose falling rock. There are ropes to aid you on the steep canyon sides. We climbed up to the Languille Crags and descended an awesome knife-edge ridge. The trees here are so stunted & bent (flagged) by the high winds & snows of winter that they look like a collection of old men. Some of these trees, such as the one pictured below left, are over 700 years old. We also passed several memorial plaques, which commemorate mountaineers who paid the ultimate price of their sport. When we returned, Cloud Cap was buzzing with activity. It was the hottest day of the year, a Saturday, and plenty of people were seeking relief in these high elevations. This short trip definitely stoked that fire in my belly that I’ve always had for high country. Mount Rainier here I come! 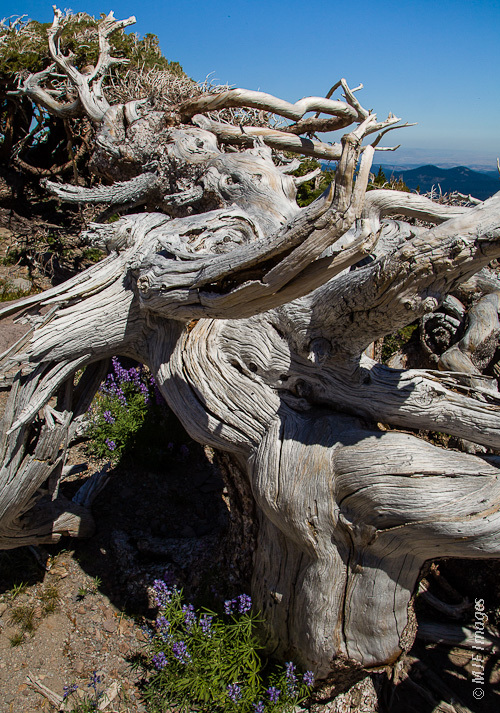 A twisted & bent 700-year old pine grows on the north side of Mt Hood, Oregon. 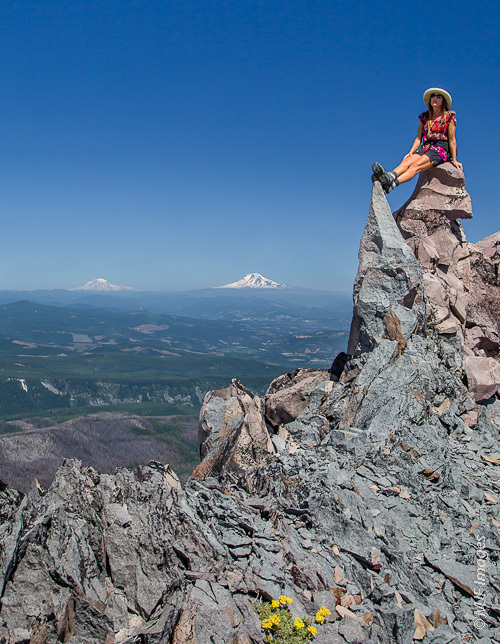 Creative seating options abound while traversing a jagged ridge on the north side of Mt Hood, Oregon. Mmm gooood! A greater bush baby in Malawi’s Vwaza Marsh Reserve samples some sap. 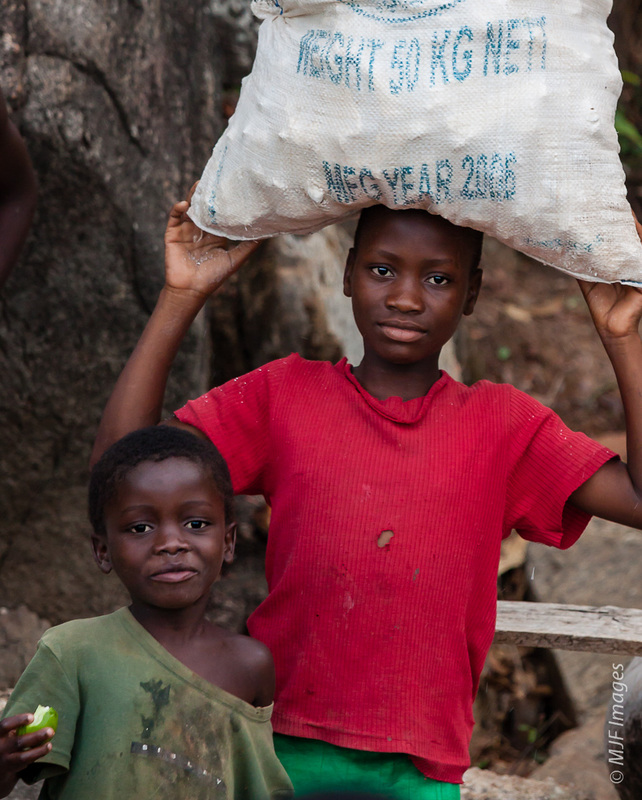 A couple village kids along Lake Malawi’s coast only accessible by boat. Before leaving aside Malawi and moving on to Zambia, I need to give a shout out to the people of Malawi. Poor they are, as a rule, and with a corrupt government, but they are by far the nicest people I met in my recent travels to Africa. I met some real characters, including this greater bush baby, one of a pair who played and snacked (and wailed like babies) in the tree I camped under in Vwaza Marsh Reserve. The people I met along Lake Malawi puts to mind what the Caribbean must have been like before the resorts and yachts came calling. The two boys at right were present at the lively soccer game we played on the beach nearby. Malawi is a warm place, and as I mentioned above has a definite hippie/caribe vibe. The fellow below is a woodcarver I met at Chitimba along the northern shore of Lake Malawi. Before you draw conclusions about him, realize that every morning when Iwas camped on the nearby beach, as the sun was rising, I heard him chopping away, cutting the large pieces of wood he turned into art. He is one industrious stoner. Unfortunately for him, all his best salesmanship couldn’t get me to buy a woodcarving that would take up half the space in my luggage. Please realize this image is able to be licensed for use at my website (clicking on it will take you there), so please don’t use it. Any images you click on that don’t take you to my site you are free to use for personal use. A woodcarver at Lake Malawi relaxes with his drum & a smoke. Malawians share much culture with Zambians directly to the west. They are very different from Tanzanians (much warmer) to the north and even separate from Mozambiquans to the west. In fact, if you pick up words in Zambia’s main tribal languages, you are very likely to be understood in Malawi. In fact, if Zambia had an enormous, warm blue lake taking up half the country like Malawi, I think they would be as charming instead of almost as charming as Malawians. The lake defines the country, and very well I might add. In the image below, I was walking the steep road from the lakeside at Chitimba up to Livingstonia when I ran into some villagers. I got the younger woman in the background to show me around for a couple dollars, and she took me down to a gorgeous waterfall (where I took a much-needed natural shower). Then we met the woman who is seated in the picture. She was pounding casava, and at first said no to pictures. I asked her why, and offered to give her a wallet-sized print (I carry a pocket-sized printer). She came around, but not before telling me that she was afraid I would show the pictures when I got home, making fun at all the “monkeys” in Africa. I couldn’t believe it. I explained that most of us are better people than that. I tried my hand with the large pestle, and they couldn’t stop laughing, since they NEVER see men pounding casava. I told them they would need to work at changing that, and they looked at me like I was crazy. 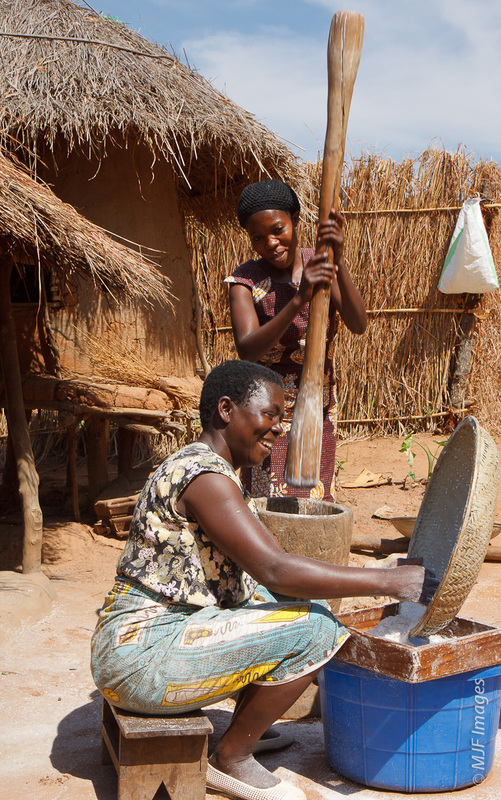 Hard-working Malawian women prepare casava in a northern Malawi village. They’re laughing because I am asking why I don’t see men doing this. Livingstonia is one of Africa’s oldest mission towns, and is named for David Livingstone, the famous Scottish explorer. To avoid rushing, it is an overnight walk, and I recommend just staying at Mushroom Farm, perched on the edge of forever with the lake far below. It is geared toward camping but has simple huts as well. It is quite basic, and has a hippie flair, with friendly young people running it. You can also get a taxi up, or drive if you have your own 4×4. It’s cooler up there, being on the edge of the Nyika Plateau (see previous post). Moonlit Lake Malawi on a warm evening. Malawians are fun and friendly, and unlike so many “friendly” people around the world, they don’t first think of how they can sell you something, or otherwise separate you from your cash. For example, while walking along a rural road, I was stopped several times by locals who simply wanted to chat for a few minutes. This never happens in America believe me. I at first thought it was because I was white, but then I started noticing this happening between the locals as well. The image below was captured at Mayoka Village, a nice place popular with backpackers that is right on Lake Malawi at Nkhata Bay. The staff were a happy bunch, and one night we had a pizza party. While the tourists partied in the bar above, I stayed below with staff, steps from the warm waters of the lake, as they had a ball making pizza and playing with the camera. I learned how to play bow, the game you see everyone playing with small stones and a wooden board of small depressions. Sometimes it’s best to avoid your fellow travelers I’ve found, since almost all of them will naturally avoid contact with locals, no matter how much they claim otherwise. 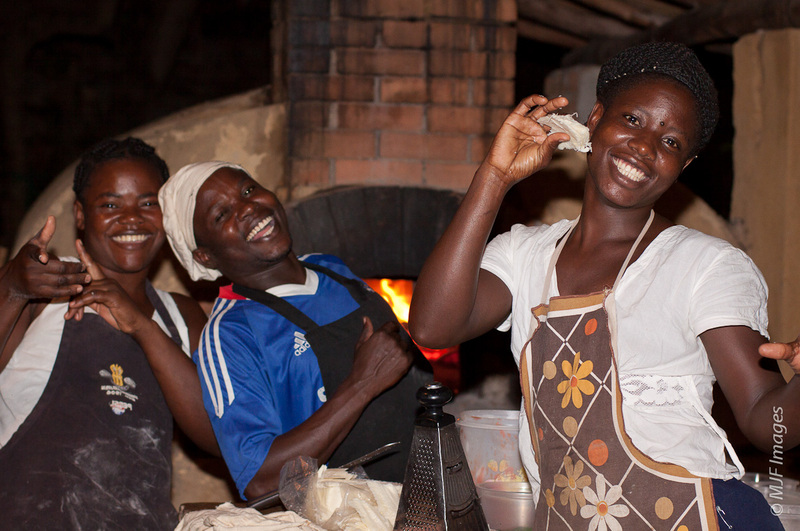 A Malawi-style pizza party in Nkhata Bay, along the shores of beautiful Lake Malawi. The day before I left Malawi, I stayed at a pension-style place in Mzuzu, and this lovely young woman, a friend of the owner, was there. I asked to take her picture, and she grew shy and uncertain. But then after I shot a few, she began to open up, and that’s putting it mildly. 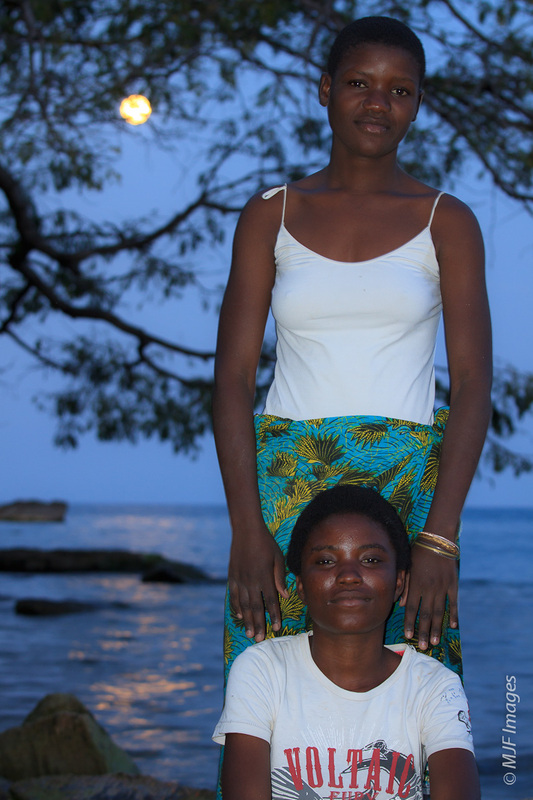 She became a fashion model before my eyes, and we moved into the garden as she assumed many stylish poses, constantly flashing that huge Malawi smile. I felt fortunate to have made the spur of the moment decision to come here (it was not in the original plan), and realized I would miss it dearly. If you are planning to go to Zambia, or another nearby country, do not miss the opportunity. Stay and play by the lake, go up on the Nyika, and enjoy the genuine warmth of Malawians. 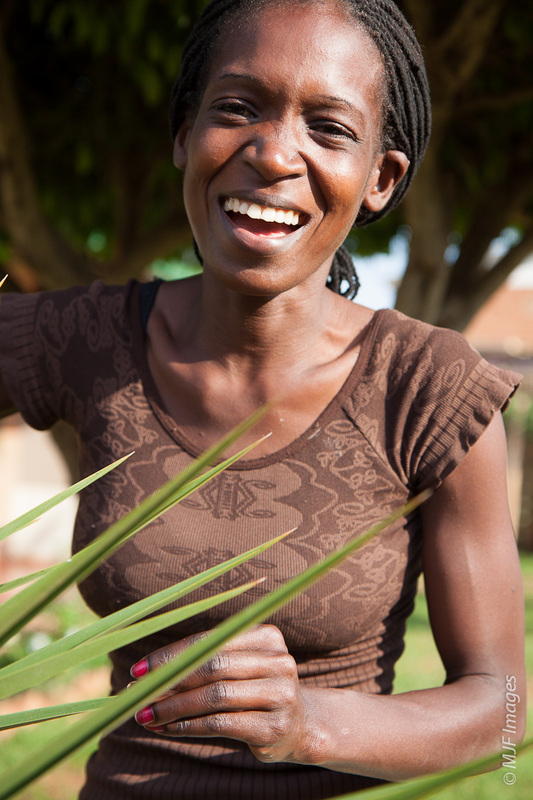 Yet another smiling Malawian, in a garden at Mzuzu in northern Malawi. The other evening I went out to Crown Point, the landmark at the western end of the Columbia River Gorge, with a friend, just to see what the sunset would be like. Turned out very nice. Top is the Vista House, the bottom is looking downriver. The sun is setting well north of the river’s direction these days, but I think I already detect the days getting shorter – yikes!